Delicious salad with tomatoes, best served fresh along with a glass of wine! 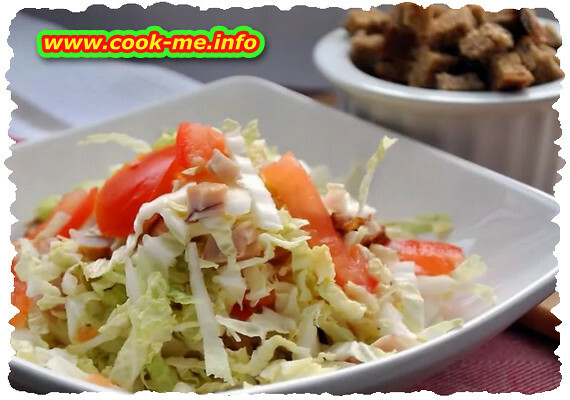 Cut cabbage into small pieces, then mix with mayonnaise and garnish-round with sliced ​​tomatoes and olives. Sprinkle chopped parsley on top.